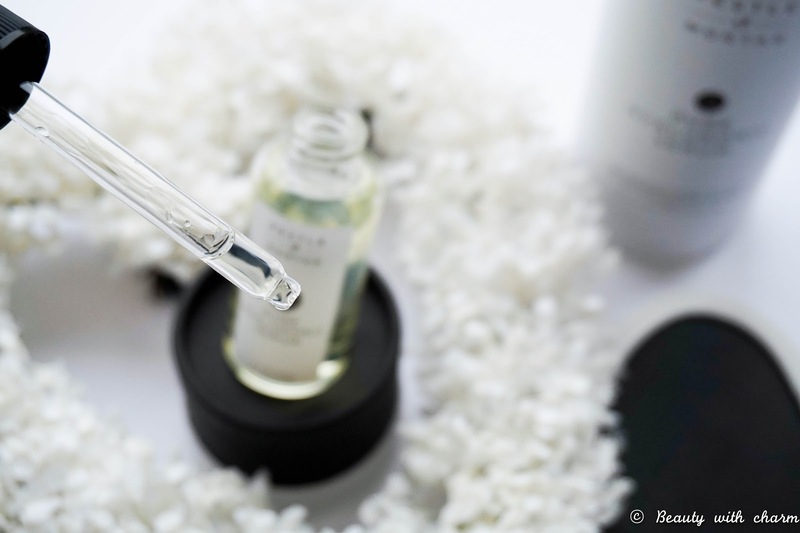 Hyaluronic Acid seems to be the most sought after ingredient in the beauty world at the moment, with skincare brands trying to include this very popular ingredient in most of their products knowing that people will instantly be attracted to it. 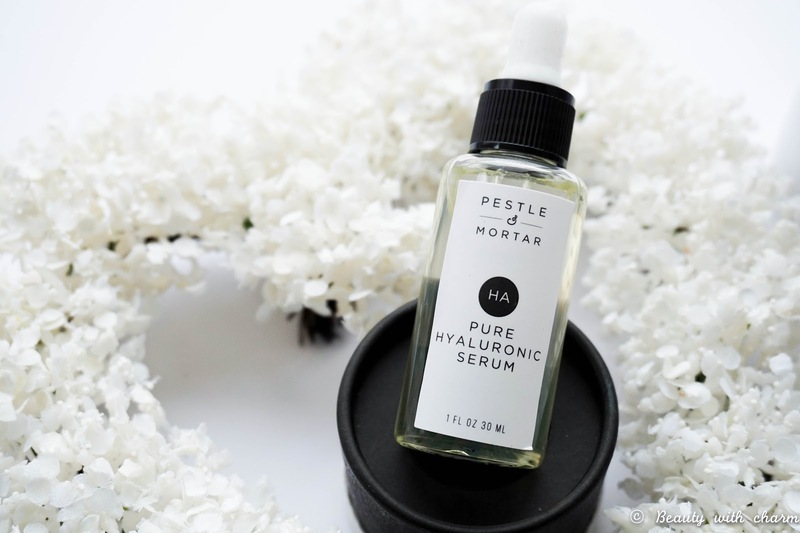 So you can imagine that when I was contacted by the lovely team at Pestle & Mortar to try out their Pure Hyaluronic Serum* I was just like the rest of society… intrigued and very eager to include it into my routine. Hyaluronic Acid promises to add hydration to the skin, whilst giving a plumping effect & therefore helping with fine lines. I'm all about adding as much hydration to my skin as possible, since it keeps my skin looking healthy & radiant. So after trying this serum for over three weeks now I am ready to share my thoughts with you. 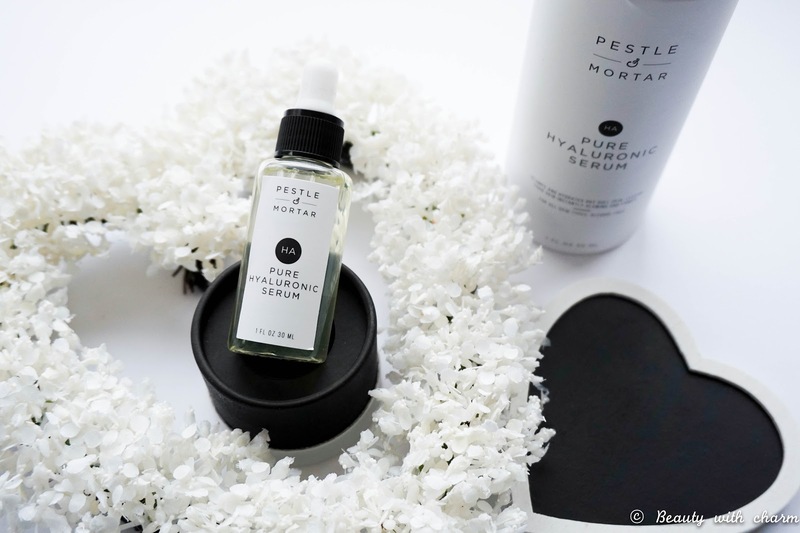 First of all Pestle & Mortar Pure Hyaluronic Acid is 100% free of animal derived materials with no tests on animals whatsoever. It also promises to be paraben free, along with any other nasties that can be harmful to the skin & fragrance free. Straight away this pretty much shows that the serum is suitable for even the most sensitive skin type out there, making the product suitable for everyone. What I love most about this serum is that unlike other hyaluronic products out there, this one is composed of sodium hyaluronate which in science terms is much smaller & therefore penetrates the skin into the deeper layers. 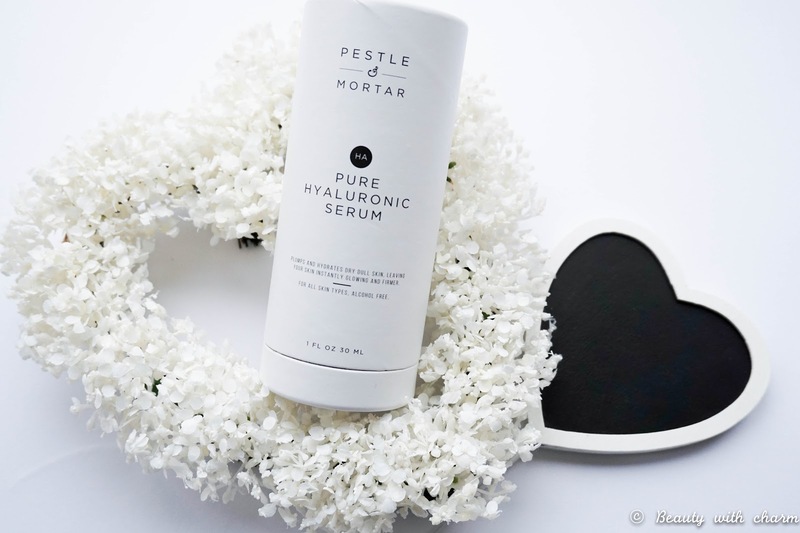 This is fantastic as I have read some articles recently which stated that a lot of hyaluronic products nowadays didn't contain the right ingredients to actually nourish your skin properly, but the Pestel & Mortar option does so big thumbs up for that. Another key ingredient of this serum, which my skin is always happy with is Vitamin E and as many of you know this helps to soften & hydrate the skin even further. I love the packaging, it looks very crisp & fresh which is always nice to see in a skincare product. The pipette dispenser makes it very easy to use the product, no mess and I am able to squeeze out as much product as I need (usually about 4 drops for my skin). I have incorporated the Pure Hyaluronic Serum into my morning skincare routine as an extra step before my regular serum/moisturiser. I would imagine if you have normal to combo/oily skin you can just use this instead of your regular serum, but I do like to have that extra moisture step when it comes to my dehydrated skin. I know I have been introducing a lot of skincare products in my routine recently, but I love how smooth my skin feels when I use this serum. It just instantly adds a boost of hydration whilst it's absorbed immediately and it keeps my skin feeling moisturised all day. I haven't experienced any dry patches throughout the day even when wearing some of my more matte(ish) feeling foundation so that's a big thumbs up from me.